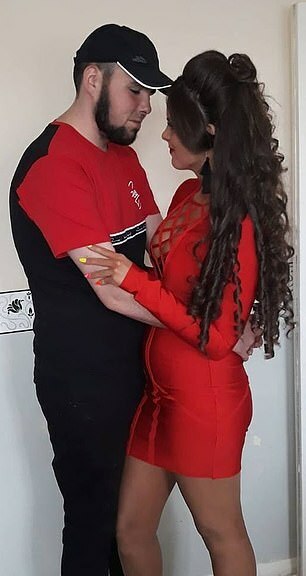 A heavily-pregnant teenager and her husband were killed after their car ploughed into a coach following a high-speed police pursuit. 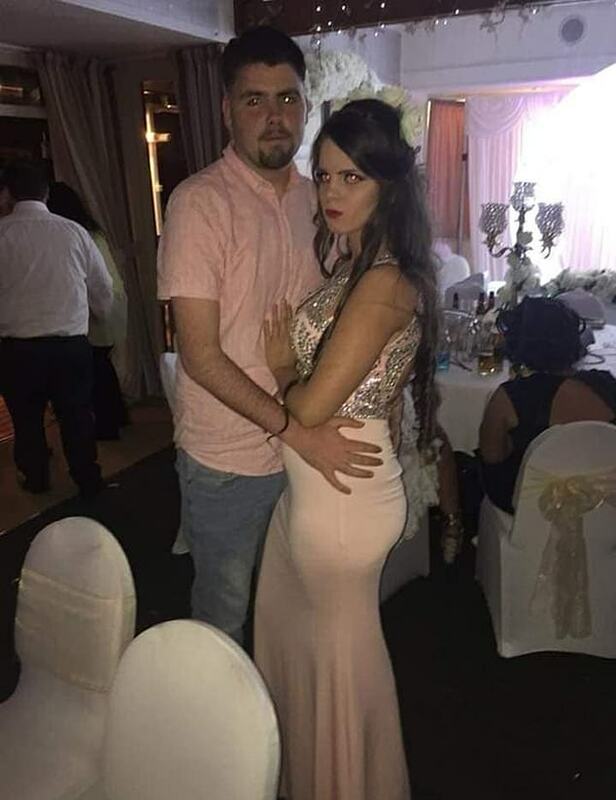 Newlyweds Patrick and Shauna McDonagh – who were expecting their first child together – were tailed by at least nine police cars and a helicopter before the horror crash in west London on Sunday night. 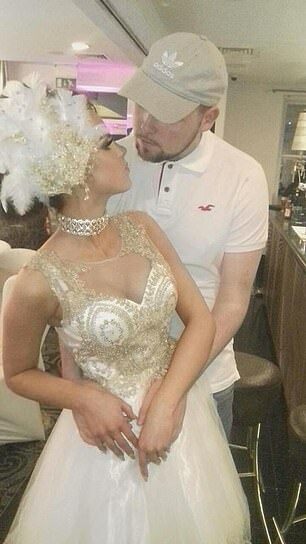 The couple were suspects in an aggravated burglary that took place north of the capital in Pinner, Harrow, a short time earlier. 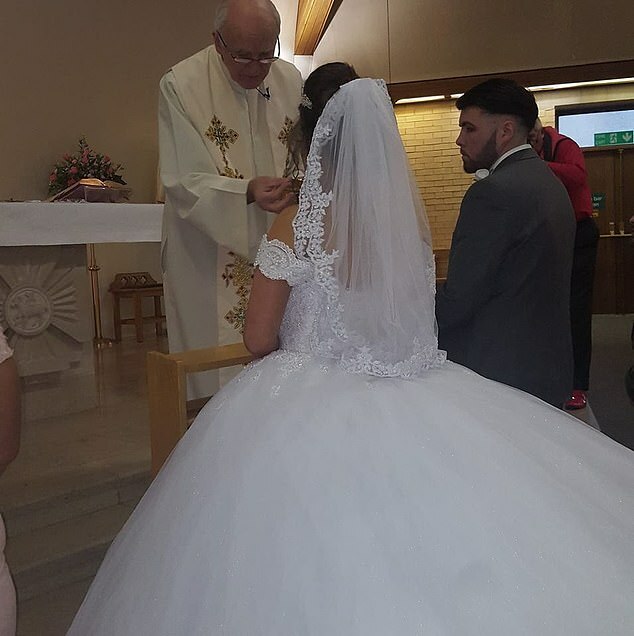 Mr McDonagh, 19, and his wife, 18, who got married just 11 weeks ago, were pronounced dead at the scene after their car smashed head on into a coach while they were driving on the wrong side of the A40 dual carriageway. 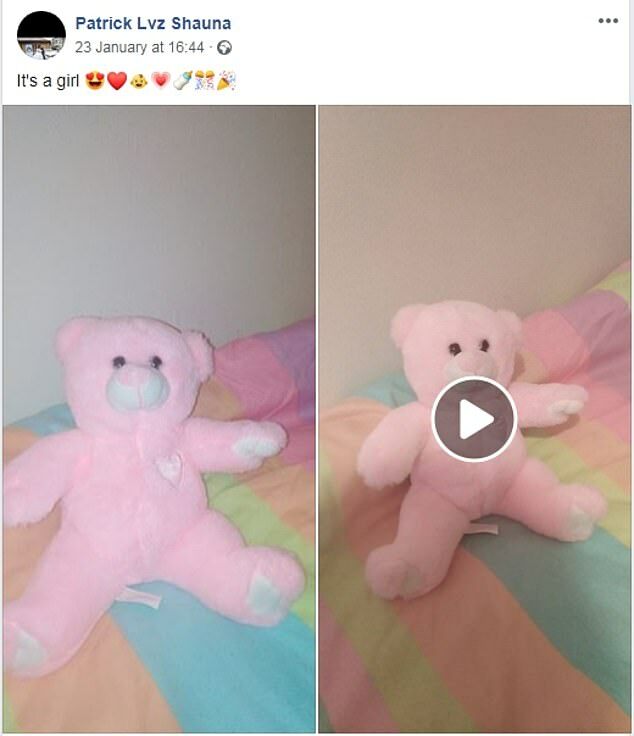 Their unborn baby girl, who was due in April, is not believed to have survived the crash. A third person in the car was taken to hospital and has since been arrested on suspicion of aggravated burglary. Three victims – a man in his 30s, a woman in her late 50s and a man in his late 60s – were threatened with a ‘large hunting knife’ and screwdriver after being confronted by four men during a raid in north London. The younger victim was punched in the face before the thieves fled the scene with cash and jewellery. The crash happened during a police chase after the homeowners dialled 999. 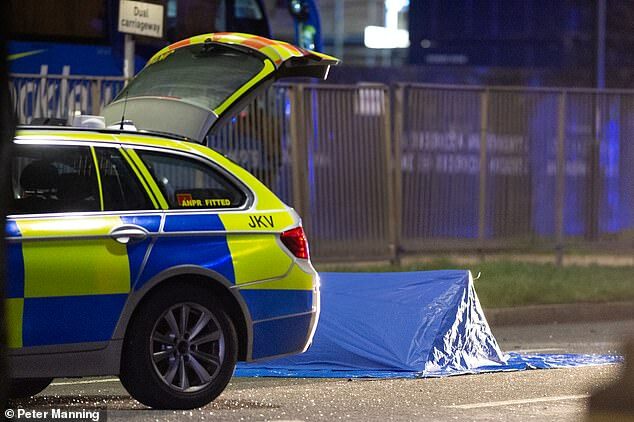 A Scotland Yard spokeswoman said the crash happened after police were called to the raid and chased the car with the help of the police helicopter. 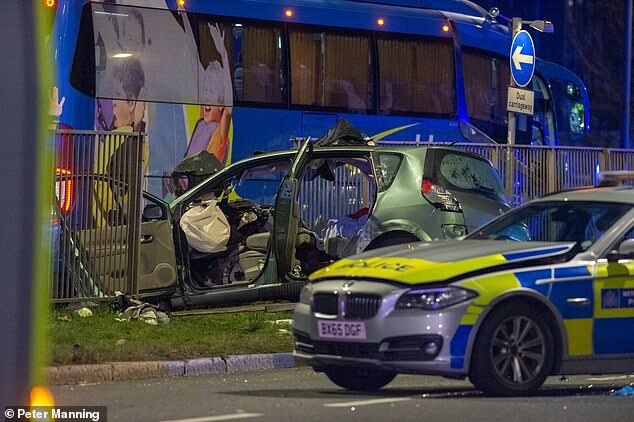 But she refused to say detectives were ‘linking’ the incidents as the Independent Office for Police Conduct had taken over the investigation into the crash while its officers are investigating the aggravated burglary. Asked if the burglary was linked with the fatal crash, she said: ‘We are treating them as two separate incidents. ‘The police (involved in the pursuit) had been responding to an aggravated burglary. That is the same as the incident (in Pinner). The spokeswoman said: ‘Detectives are investigating after an aggravated burglary. ‘The offence is believed to have happened between 8.15pm and 8.37pm on Sunday at a residential address in Pinner, Middlesex. ‘The victims – a man in his mid-30s, a woman in her late 50s and a man in his late 60s – reported that the door to their home had been forced and four male suspects had entered the house. ‘The suspects then threatened the householders with a large hunting knife and screwdriver and demanded valuables. 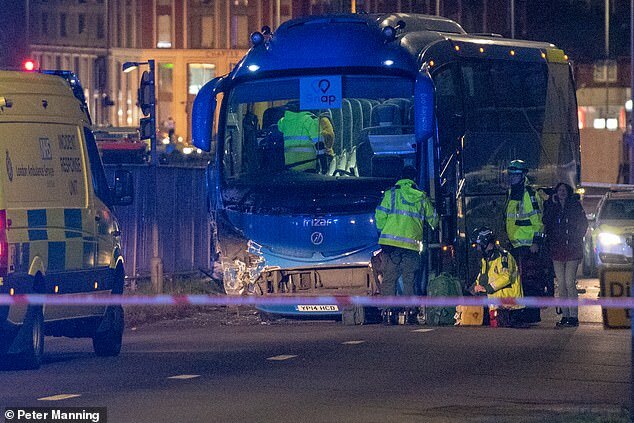 The shocked victims, who did not need hospital treatment, called the minute the raiders left and officers quickly gave chase to a fleeing car on to the A40. 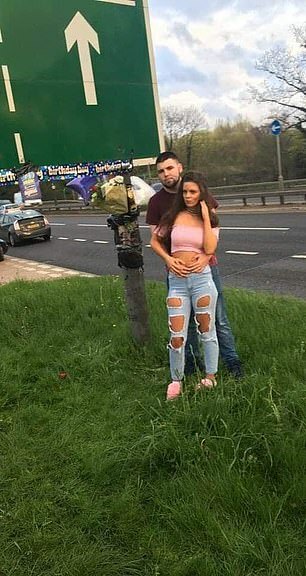 A police helicopter was scrambled to help with the chase but officers stopped following the car when it moved on the wrong side of the dual carriageway at about 9pm. Scotland Yard said: ‘At approximately 8.40pm on Sunday police responded to a report of an aggravated burglary at a residential address in Harrow. ‘As part of this response, a vehicle pursuit was initiated. The police helicopter was also called to assist. At approximately 9pm the vehicle being pursued moved onto the wrong side of the carriageway on the A40. The police vehicles did not follow. 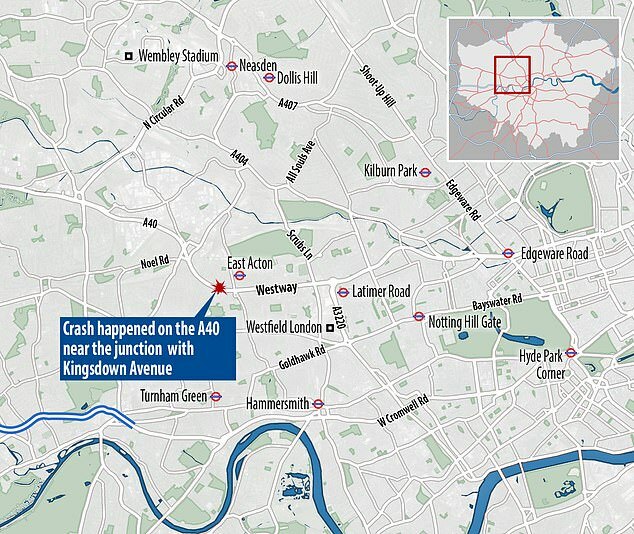 ‘The vehicle was then in collision with a coach near the junction with Kingsdown Avenue. There were three occupants in the vehicle. ‘No reports of any other serious injuries.